The businesses and various commercial locations across Denver have relied on Budget Dumpster to remove unwanted materials for quite some time. We have developed a reputation of providing dumpsters at the most affordable rate. Our low prices give everyone in the Greater Denver area the chance to routinely take care of their trash without breaking the bank. We want you to be the next Denver resident to receive the benefits of Budget Dumpster. Although providing a large selection of dumpsters is a positive, it make not be helping your decision making process. The solution is simple. 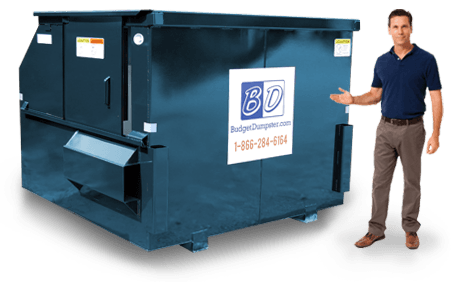 Contact Budget Dumpster and speak with an expert customer service representative. Their industry knowledge will allow the most cost-effective commercial dumpster to arrive at you Denver location. We are waiting to hear from you. 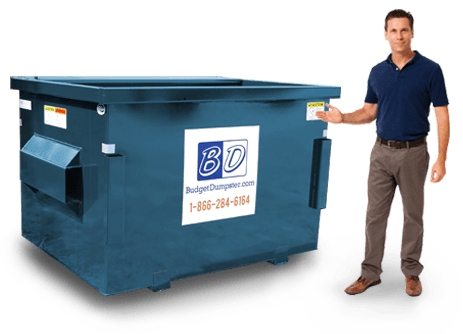 Renting a 2 yard dumpster for your business is the best way to go if you are seeking a small, yet capable bin. 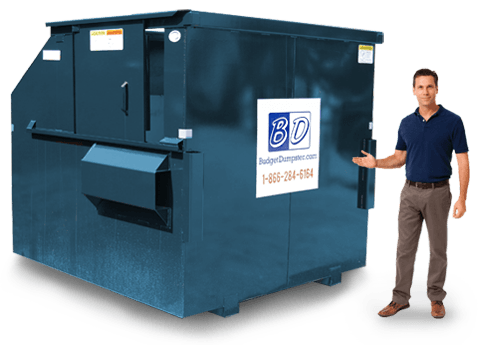 This dumpster size is ideal for small businesses of any stripe including convenience stores, service stations, and small office buildings. It might look small on the outside, but the inside is big enough to hold multiple trash bags and a great deal of broken down cardboard boxes. As for placement, this bin is perfectly sized to fit just about anywhere on your property, so if space is an issue this is the right dumpster for you. Of all the sizes we offer, the 4 yard dumpster is one of the more popular choices for our customers. It's big enough to handle those weeks where your business is literally inundated with trash, while still being compact enough to remain out of the way. This particular sized dumpster is commonly used in office buildings with up to 100 employees and retail stores. Its relatively compact size makes it a good fit for these locations, as well as others that wish to have save a little space while still having a big enough dumpster to handle extra trash. The 6 yard dumpster is a great size for any business that needs to dispose of all sorts of waste, including those large catering platters that the company always orders five more of than are necessary. Seriously, who's going to eat that much ham? Fortunately, the 6 yard dumpster can accommodate party platters and much, much more thanks to its voluminous capacity. These dumpsters are typically 6 feet tall, leaving plenty of room for bulkier trash items in addition to the usual trash load. There's never a concern for overfilling this big boy. The 8 yard dumpster is the largest size we offer, designed for properties and businesses that have significant waste streams. Common users of this size include warehouses, distribution centers, manufacturing plants, and other industrial properties. But just because these bins see a lot of industrial action doesn't mean they aren't right for your business. 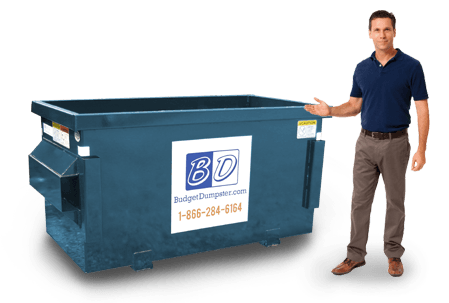 Just give our service team a call and we'll figure out if an 8 yard dumpster is right for you and your business.